I’m sure some of you are sick of starlings by now but I still love them and they are everywhere. 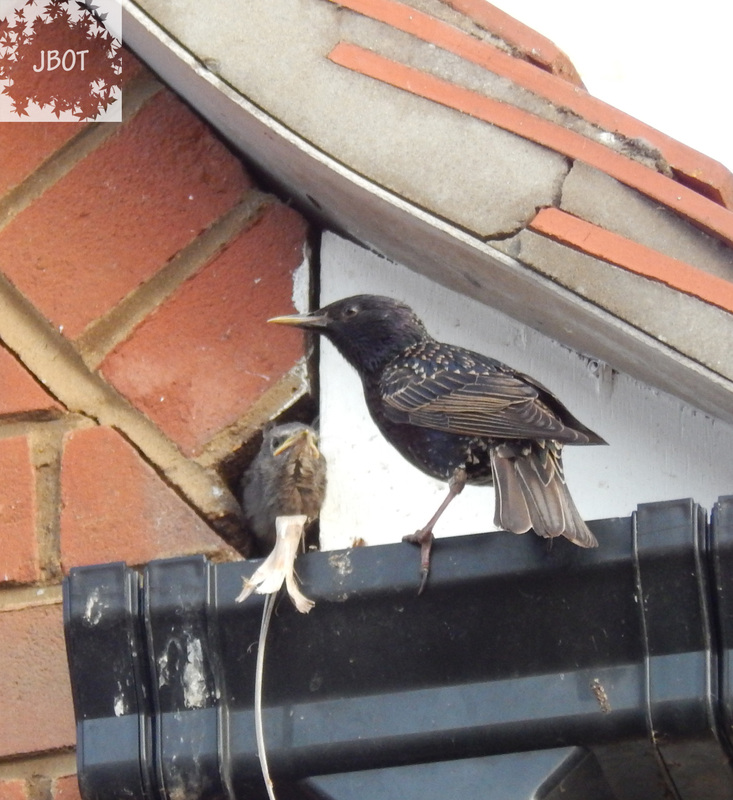 Today I thought I’d share a few photos of a fledgling starling. This little one is in a nest above our driveway. 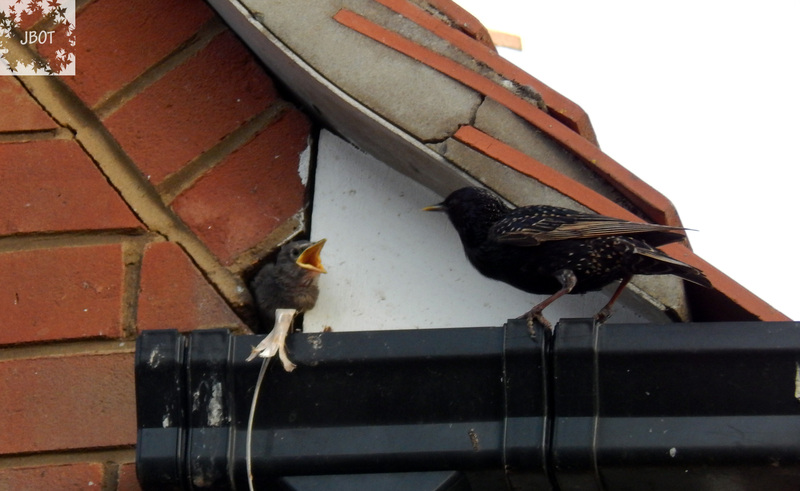 Nesting in the guttering of the house two doors down. 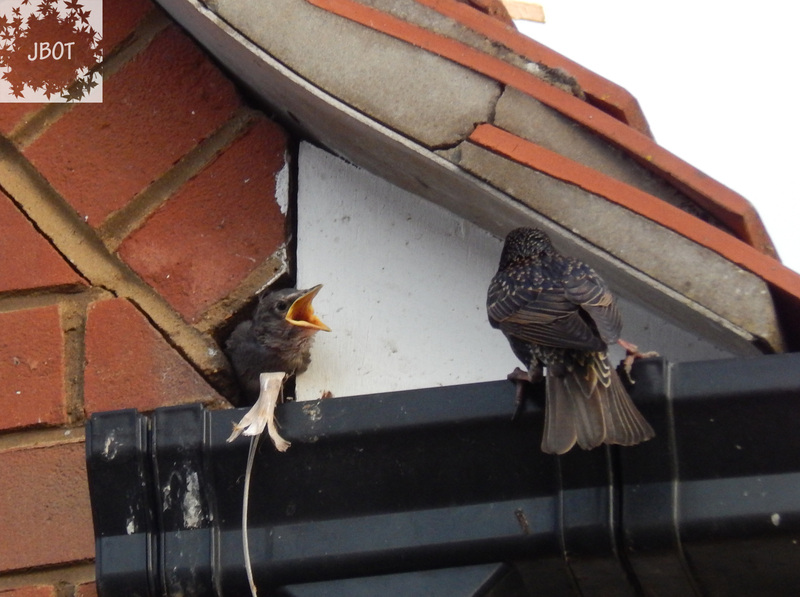 I think this little chap must be almost ready to fledge, it’s quite happy poking it’s little head out of the hole and cheeping loudly for food. 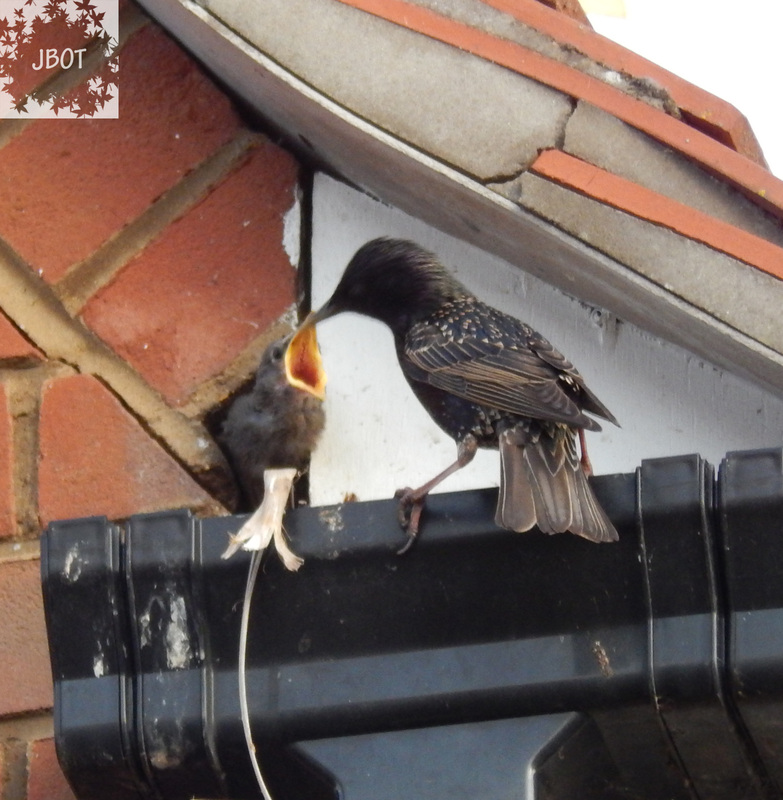 There are loads of starlings around so I’m not entirely sure which ones are it’s parents but it seems quite happy begging off any passing starling. Here are a few more photos just because it’s super cute! This display of total adorable-ness is making me miss my DSLR camera even more! There’s always next spring/summer I suppose. The last little bit of wildness was found by Addz (my partner in life and crime). He’d had some boxers outside to dry (because he’d dropped them in a glass of squash while unpacking clothes). 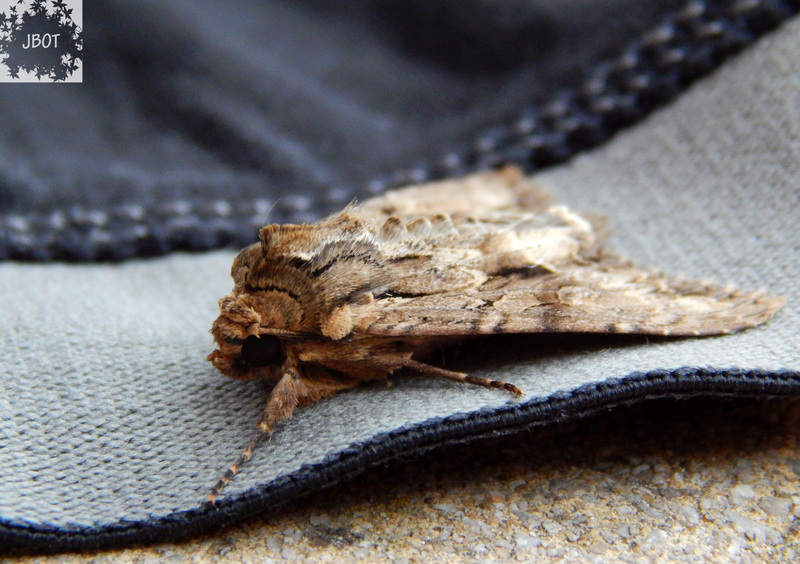 When bringing them in he found this moth. If anyone can tell me what it is I’d be grateful.. until then it’s being known as a Pants Month. 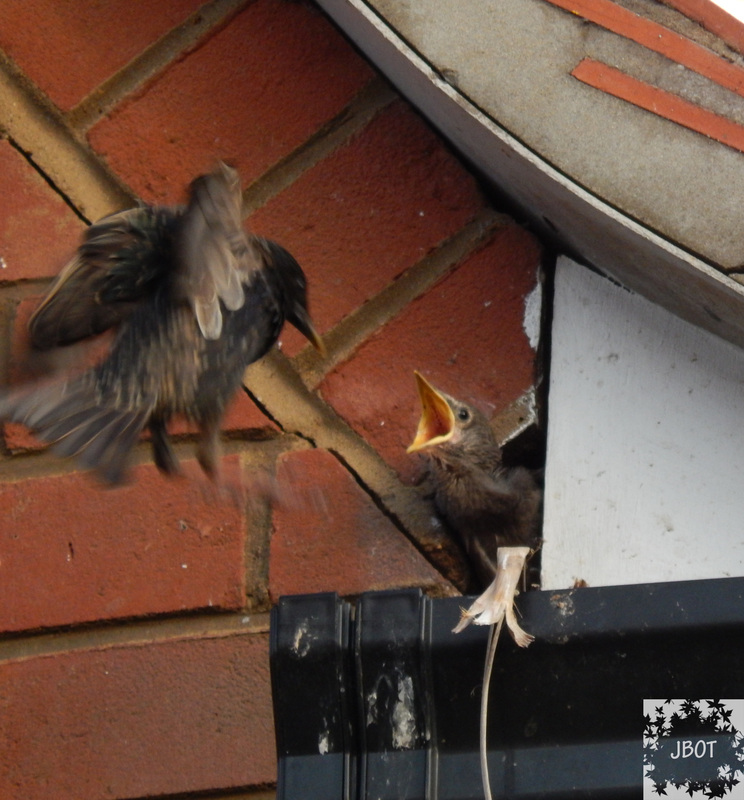 Love the picture of the feeding fledgling and the moth. You are keeping busy.seems like a wildlife haven. How is the spider situation?